As the Samsung Galaxy Note8 launch grows closer, the leaks grow more intense. The latest shows the upcoming flagship from all sides and even the star attraction – the S Pen. You should be pretty familiar with the dual camera on the back from all the renders and you’ve probably heard that it will have 3x optical zoom. Even the 3,300mAh battery below the rear panel leaked recently. The front features the Infinity Display, a slightly bigger panel than the one on the Galaxy S8+ (6.3” vs. 6.2”, same QHD+ resolution and Always on Display tech). But it’s the S Pen that sets apart the Note8 from the S8. 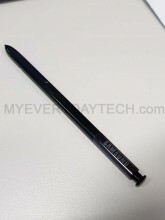 The stylus doesn’t seem to have changed much, perhaps it will have slightly revised dimensions and improved sensitivity. 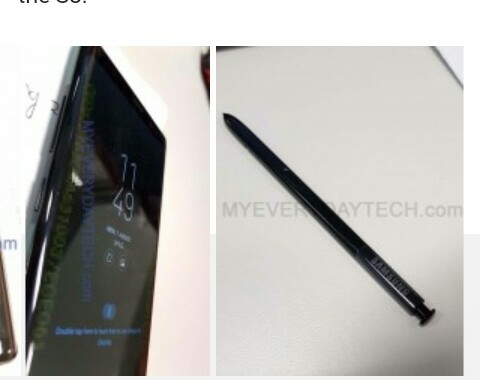 Samsung patented a stylus with a built-in speaker last year, but we’re not seeing anything of the sort here.